Nyren's Corner: Can a Masterpiece be Flawed? 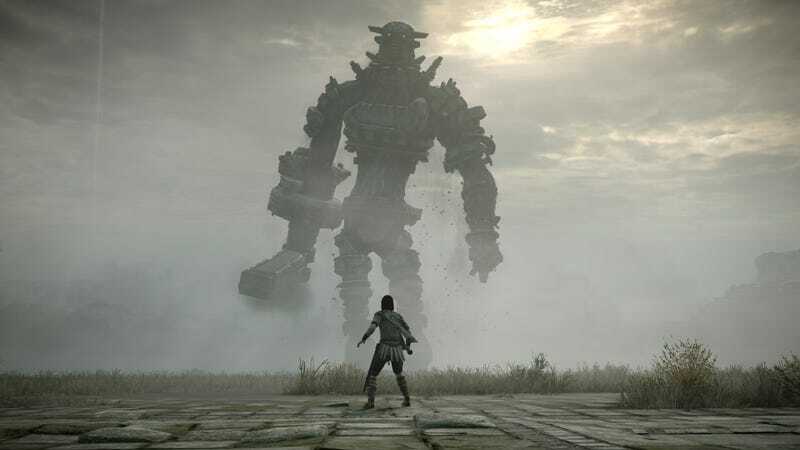 The remake of Shadow of the Colossus came out this past Tuesday and with it came a lot of new players who had never experienced this PlayStation 2 title that was placed on a pedestal for so long. Looking through comments and random reviews, I come across many similar views from these new players: They don’t think that Shadow of the Colossus deserves the praise it gets because the story is minimal, the gameplay consists of riding to 16 bosses and defeating them with nothing to do in between, the horse is unruly, and the gameplay in general can be kind of clunky. And I can’t necessarily disagree with most of these criticisms(The horse is unruly because the developers intentionally designed Aggro that way because they felt a horse wouldn’t always listen or cooperate.) because they describe the game to a T. However, they’ve also missed the entire point of Shadow of the Colossus. Shadow of the Colossus is a very atmospheric game and most of its story is told through very little dialogue. To get more out of the story, the player must infer a lot and even then many questions will remain. However, that’s not necessarily a bad thing because it lends to one of the games biggest draws: It’s wonder and mystery. When you see a towering Colossus, you’re in awe at the sheer scale and magnificence of these beings. And when you look at the land you find yourself in, you wonder what happened here, why it’s abandoned and forbidden, even to animals. A stone bridge that spans half of the valley, connecting only to a large shrine in the very center of the valley. While below him is nothing, but sand and rock, it eventually gives way to grassy plains as far as the eye can see. And beyond that, forests, marshes, mountain passes, and cliffs overlooking the ocean. It is a beautiful land, but one that ultimately must never be entered, until Wander does and sets off the chain of events that unfold across the story. But that’s why the world is empty. No living thing can survive here without consequence, and thus you see nothing, but birds. It gives the world this lonely and isolated feeling, and that makes complete sense. This isn’t a game about mindlessly slaughtering many a foe or hunting the local fauna to extinction(Technically speaking of course.). There are no people here to give you side quests. The only quest you have is to travel this land and slay the 16 Colossi that reside within, and each one slain brings your love back to life, no matter the consequences. The reason that Shadow of the Colossus is considered a masterpiece is not because it’s a game that has, in terms of gameplay, stood the test of time. It has not. But because it creates such a believable world, one that you get lost in just marveling at its sheer scale and beauty. And then you come across the fabled Colossi, beings that tower far above you. You are an insect compared to them. Shadow of the Colossus thrives on its wonder, its mystery, and its ability to tell a simple yet emotional tale. It pains me that there are people that can’t see the beauty that this game has to offer, and instead see a game devoid of superfluous activities and see the game as nothing more than that, a game. They go in expecting a game, but instead find a work of art that doesn’t really see itself as a game. And that is why Shadow of the Colossus is considered a masterpiece despite its flaws as a video game. It is the very definition of video games as art.